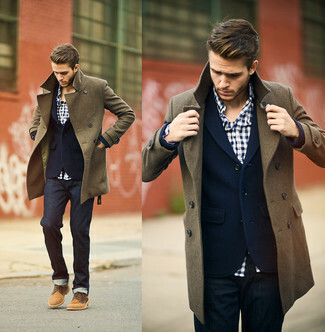 For a smart casual outfit, choose a navy wool blazer and blue jeans — these items fit perfectly together. When it comes to shoes, this ensemble is finished off nicely with white leather loafers. Consider pairing a Theory chambers slim fit stretch wool blazer with a grey sweater vest for incredibly stylish attire. So as you can see, being a dapper dude doesn't take that much time. 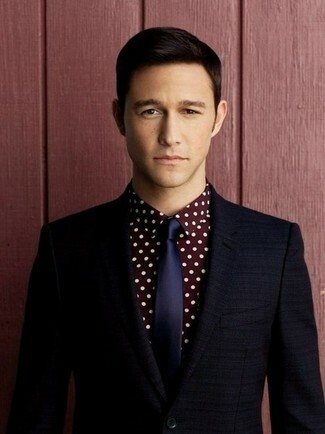 Just wear a Theory chambers slim fit stretch wool blazer and a burgundy polka dot dress shirt and you'll look awesome. Contrary to what you might believe, looking stylish doesn't require that much effort. 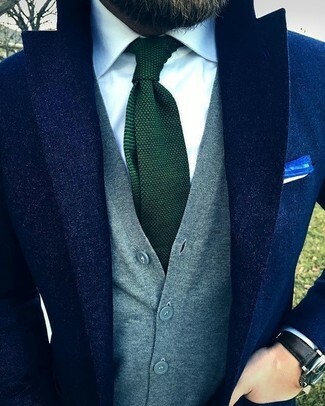 Just go for a navy wool blazer and navy chinos and you'll look wonderful. For something more on the daring side to complement this ensemble, go for a pair of white leather low top sneakers. 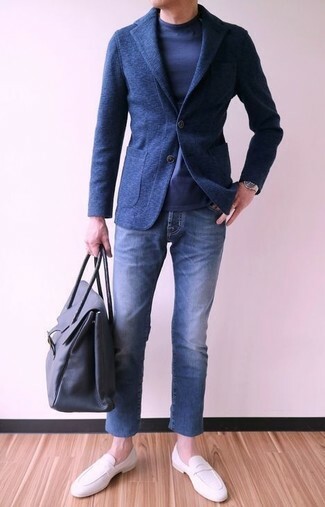 For a casually elegant look, reach for a Theory chambers slim fit stretch wool blazer and blue jeans — these items fit nicely together. This combination of a Theory chambers slim fit stretch wool blazer and navy jeans is super easy to throw together without a second thought, helping you look awesome and ready for anything without spending a ton of time searching through your closet. Tobacco suede derby shoes will add elegance to an otherwise simple look. 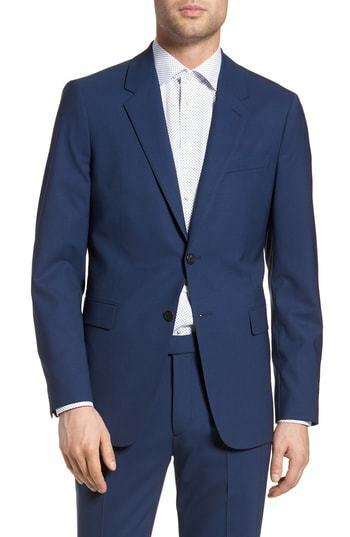 Rock a Theory chambers slim fit stretch wool blazer with navy wool dress pants for a sharp, fashionable look. A pair of burgundy leather derby shoes ads edginess to a classic style. 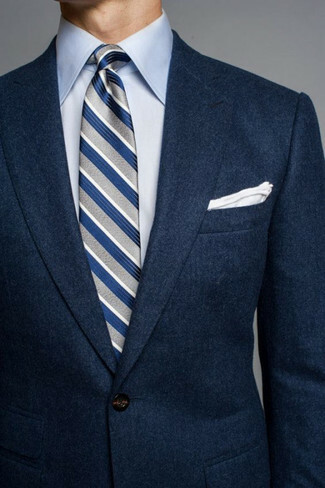 Pair a navy wool blazer with a light blue dress shirt like a true gent. 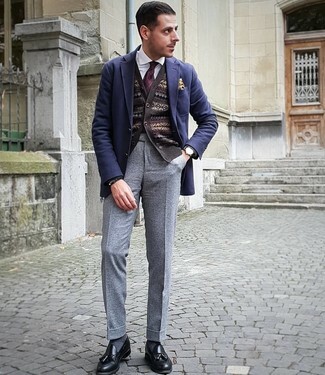 For a nothing less than incredibly stylish look, wear a navy wool blazer and grey wool dress pants. Black leather tassel loafers will add more playfulness to your getup.